2. In a small bowl, whisk together all dressing ingredients. Refrigerate until ready to use. 3. 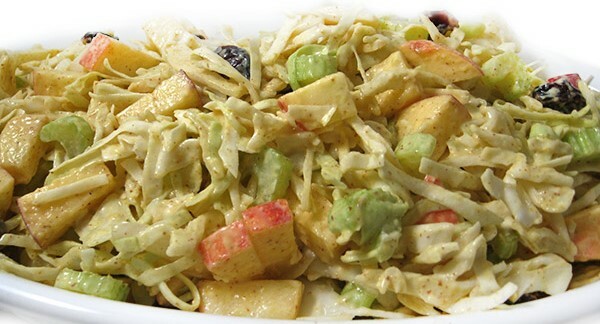 Toss coleslaw with dressing just before serving. 4. This recipe can easily be cut in half or doubled for a crowd. 5. It makes a delicious main course salad. To turn into a large salad, see serving tips below.